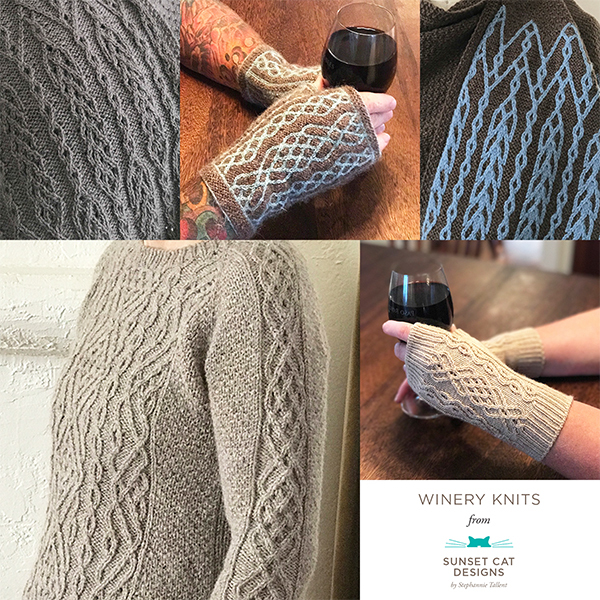 Winery Knits is my love letter to California wine country. Are you ready to explore it with me? Aran Lace and stranded cable techniques are highlighted. The stoles and the mitts are Aran Lace and stranded versions of similar patterns. The Dry Creek sweater has beautiful Aran Lace panel. I’ll be releasing patterns every week or two; you’ll receive updates as I add patterns to the e-book.